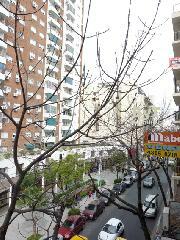 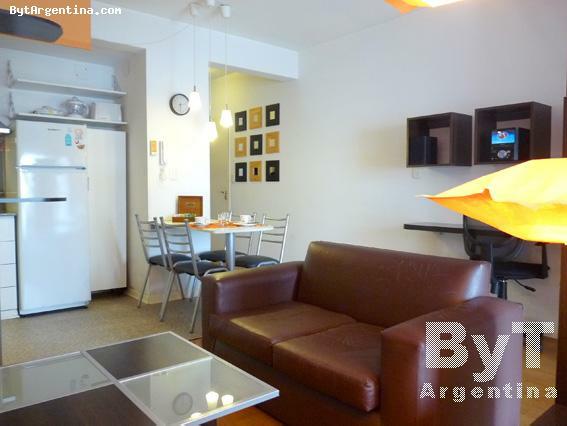 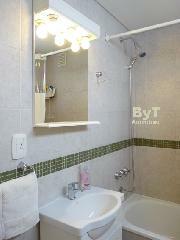 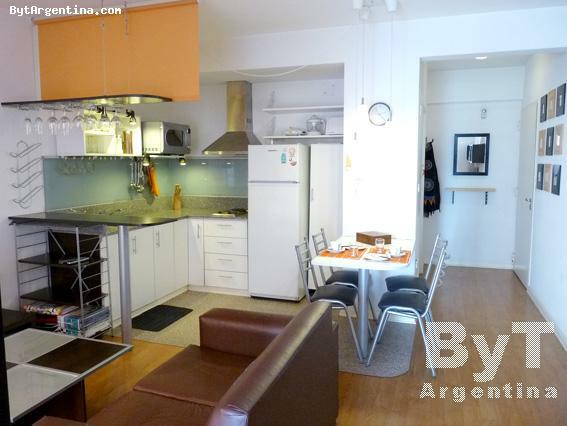 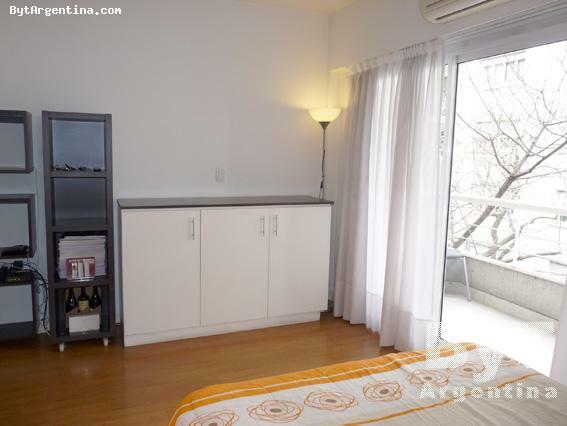 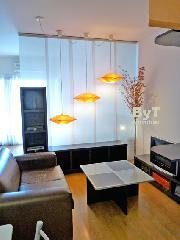 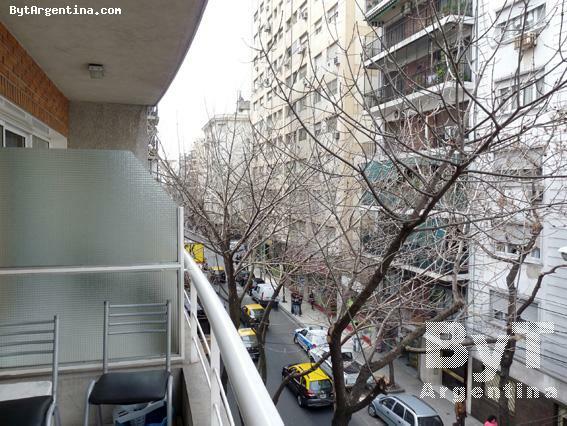 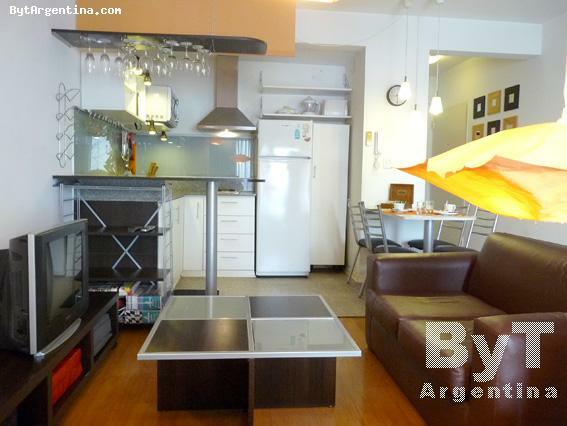 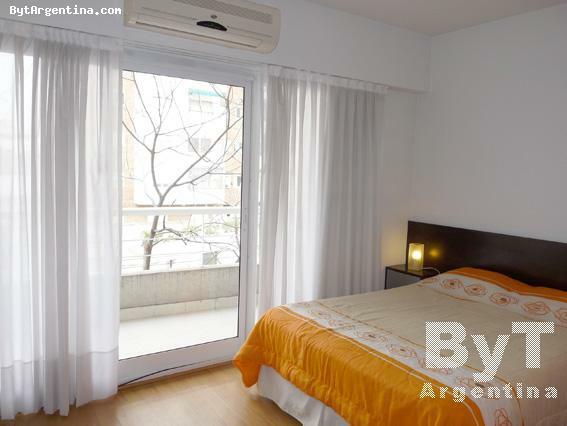 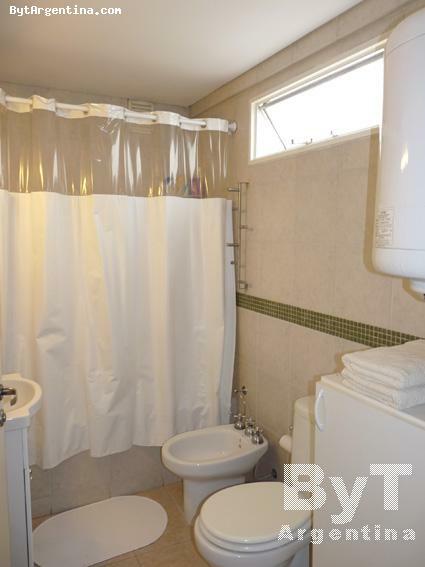 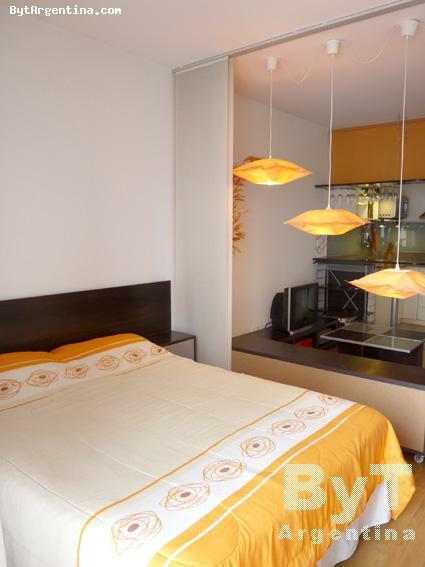 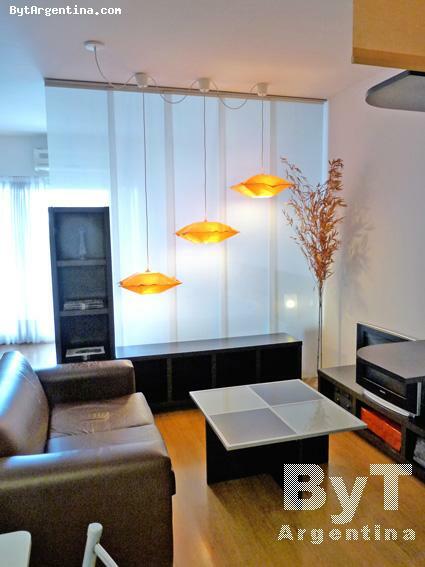 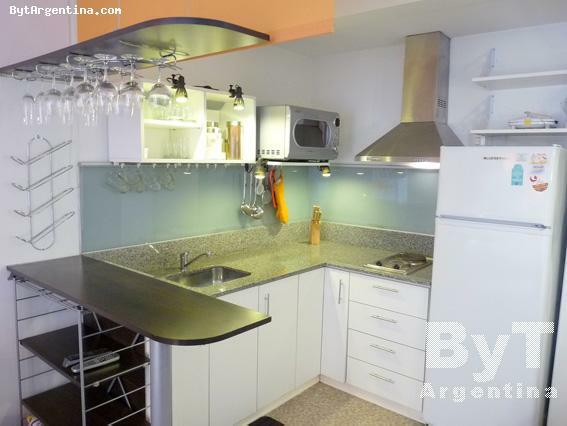 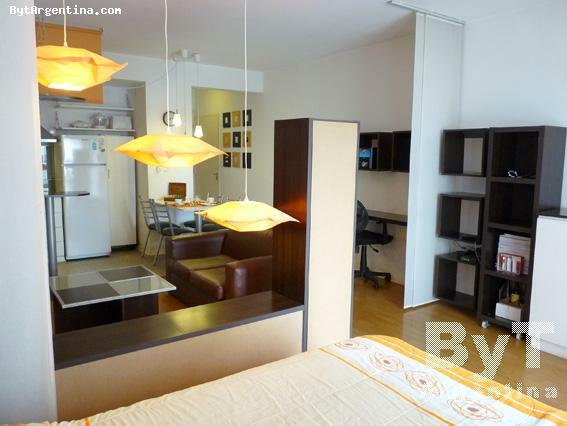 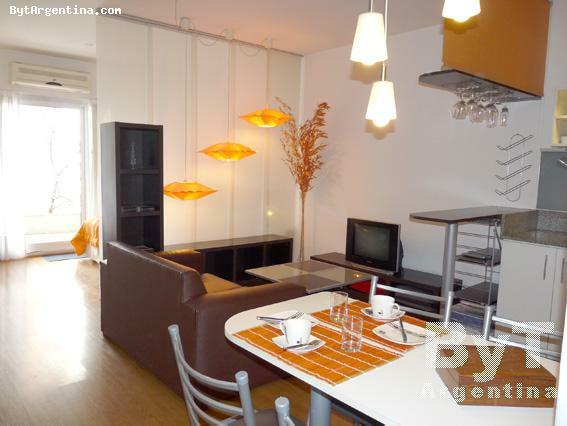 Beautiful apartment located in Almagro neighbourhod, just half a block from the Corrientes avenue, traditional street with several public transportation, the subway stop, cafes, restaurants and shopping areas. 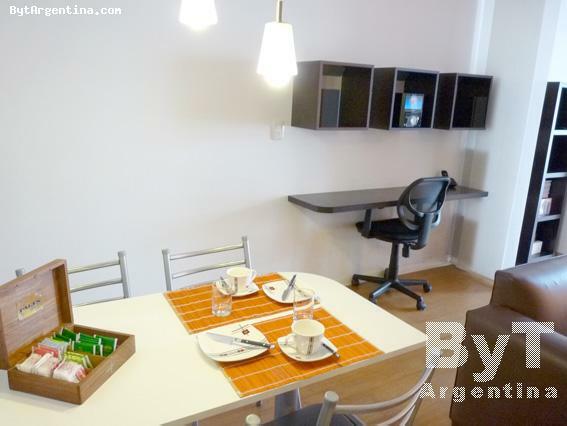 The flat offers a living-dining with a sofa, a dining table for four people and a desk, a bedroom area with a double bed, one full bathroom, an equipped open kitchen and a balcony facing the street. 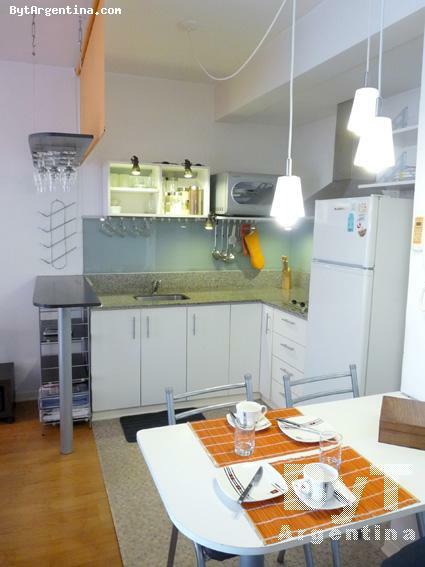 The apartment is equipped with Wi-Fi internet access, cable TV, DVD-stereo, air conditioning (cold-heat), fridge with freezer, microwave, dishes, kitchenware, linens and towels. 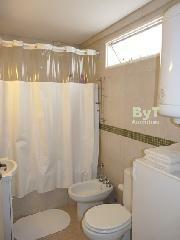 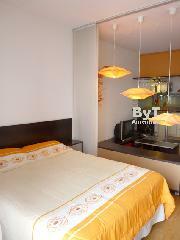 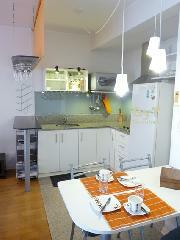 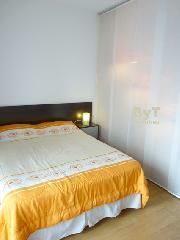 A great option, very comfortable and warmly decorated with an excellent location.